Home » Kargil Vijay Diwas » Kargil Vijay Diwas: Did Pakistan plan to drop nuclear bomb on India during Indo-Pak War? Kargil Vijay Diwas: Did Pakistan plan to drop nuclear bomb on India during Indo-Pak War? Kargil War came to end on 26 July 1999 and the day was recorded as the historic day for India and it is observed as Kargil Vijay Diwas. 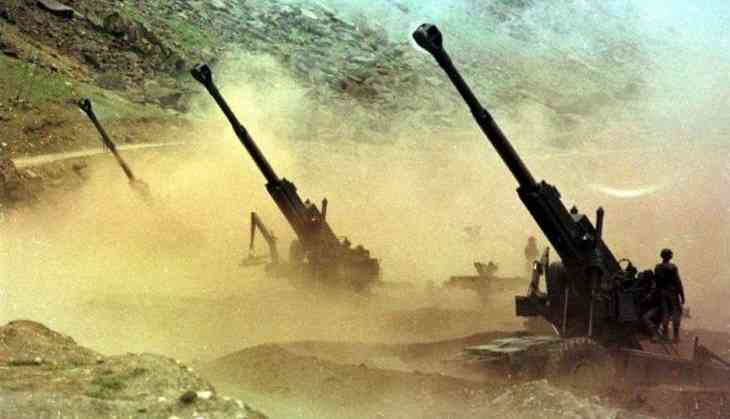 The Kargil war took place along the Pakistan-India Line of Control (LOC) in Ladakh, in the northern Indian state of Jammu and Kashmir. The war was fought for two months and finally, the fight ended with a ceasefire on this day, 18 years back. The day is observed as a mark of victory and to commemorate the sacrifices made by the war heroes. Over the years, several untold stories have caught people's attention and one particular story about Pakistan's secret plan during the war stands out among all those tales. According to a former top White House official, Pakistan planned to deploy nuclear weapons against India during the 1999 Kargil War. This information was revealed by former CIA analyst, Bruce Riedel. According to the report, CIA had warned the then US President Bill Clinton about the Pakistan plan of dropping nuclear bomb on India. He also told the President that the war was started because of the Pakistan and it should be ended by Pakistan only without any compensation. He cleared that Pakistani withdrawal could avert further escalation.